You are here: Home / I HAVE / Do I or my child have Autism? Do I or my child have Autism? Autism, or autistic spectrum disorder, is a child developmental disorder. Most children with autism are diagnosed between 2 and 3 years of age. 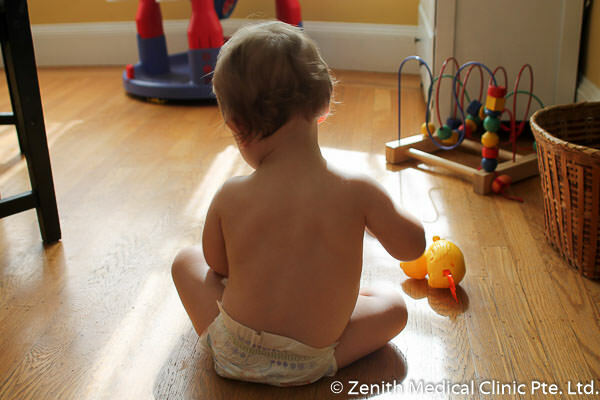 In some cases, children as young as 18 months old can be diagnosed. New tools are being developed that help children get diagnosed younger and younger. 0.1 Why do I need an early diagnosis? 0.2 How do I know if I have autism? 0.3 Is there a screening or test that I can do? 0.4 How can i be diagnosed with autism in Singapore? 1 What happens if your child has Autism? 1.4 How is it like living with autism? 2 Can autism be treated and how? 2.1 Is there any medications that can treat autism? Why do I need an early diagnosis? The earlier you find out, the earlier the child can undergo intervention. The intervention teaches them how to communicate with other people better. How do I know if I have autism? People with autism experience difficulties with social situations (they struggle to make sense of social situations or make and keep friends), language (they often speak in very concrete language and may struggle with comprehension) and finally behaviour. People with autism may have very fixed interests that they spend a lot of time engaged in. They may also struggle with repetitive behaviours (such as hand flapping). Is there a screening or test that I can do? Yes there are online screens such as Autism Quotient that may be helpful at first. However, if you suspect you have autism you should see a GP that will help guide you to get the assessment you need. How can i be diagnosed with autism in Singapore? You should be seen either by a psychologist who specialises in this area or a psychiatrist. What happens if your child has Autism? People diagnosed with autism will struggle with a range of difficulties – hence the term autistic spectrum disorder. No two autistic child is the same in terms of the difficulties they encounter. The difficulties will be in the domains of social, behaviour and communication. The child must present with difficulties in all three domains in order to be diagnosed. We now know that children with autism have a variety of strengths and difficulties. This is why there is a such a large range in the presentations of children with autism. Children on the autistic spectrum find it hard to relate to others, in particular they can struggle to understand the intentions and feelings of others. It is a misnomer that people with autism are not interested in others. In fact, some individuals with autism can feel very lonely because they don’t have the relationships they want. However, some individuals with autism show no interest in developing relationships with others, which can be very difficult for parents and family members. This is why some people refer to children with autism as ‘being in their own world’. Children with autism will show repetitive behaviours (such as hand flapping or spinning) which they will not be able to stop even when asked to do so. They will get very preoccupied with a narrow range of interests (e.g. Thomas the Tank engine). Their play will be repetitive and usually doesn’t involved any imaginative or symbolic play. Children with autism usually have a language delay. Some children don’t start speaking until after their third birthday. Their speech can be repetitive and echolalic (repeating what they have heard of what has been said). They will struggle to have conversations or answer questions. If you have any concerns about your child’s development, please contact us or your GP in order to discuss an assessment. It is very important to get your child assessed early as this will help him or her get the help she needs. How is it like living with autism? It varies a lot. It can be very difficult or it can be very well managed. Getting the help you need will insure that you get the best life you can. Can autism be treated and how? Yes, we now have a number of interventions that can help address the various areas of need. Is there any medications that can treat autism? In certain severe cases of autism medication has been used to reduce some of the symptoms. However, there is no medication to treat autism.